Tarantulas are considered to be one of the most famous exotic pets people take care of. With their large, hairy and sometimes thorny bodies, these spiders aren’t exactly nice looking. What makes them scarier is the fact that they actually eat animals that are bigger than them like mice, lizards and even small birds. However, what’s even scarier is the creature that hunts for these massive spiders. 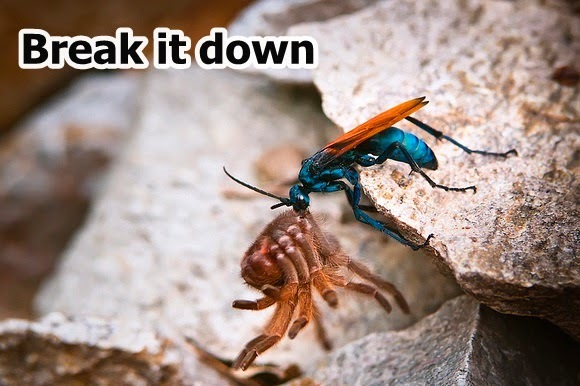 Common predators for tarantulas are tarantula hawks. These are a kind of wasps which are great to have around the garden since they give a great deal of help with pollination and they’re typically not aggressive, in fact male tarantula hawks don’t even have stingers. The female of the species, is the absolute opposite. Although they’re usually docile, these wasps will sting when they’re being threatened. 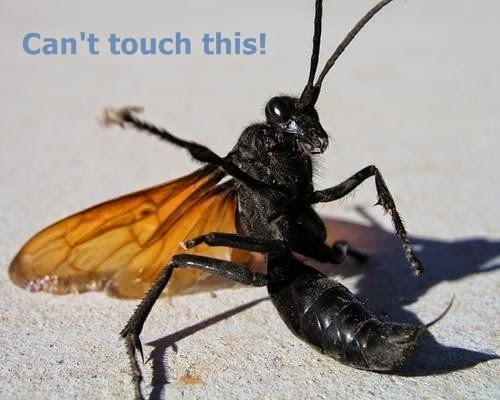 The sting of a female tarantula hawk is described to be one of the most painful amongst all other insects. After a few minutes, the victim would lose their mental capacity to do anything else other than react to how painful the sting is. 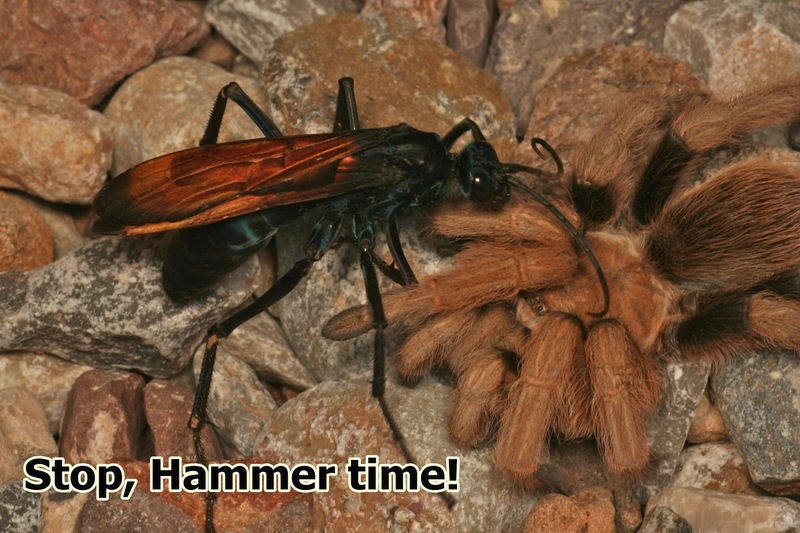 What female tarantula hawks do is they prey on healthy, female tarantulas and stings. This paralyzes them but doesn’t kill them. What she then does is she deposits her fertilized egg into the tarantula’s abdomen and after a few days, it hatches inside the spider. The wasp larva then starts to feed on its host’s juices and continues to feed off the spider form inside for about 20 days. The larva just needs to make sure it doesn’t damage the spider’s vital organs or it’ll kill it before it’s big enough to go on its own.